1. In patients with severe acute respiratory distress syndrome (ARDS), prone-positioning significantly reduced 28-day and 90-day mortality when compared with patients remaining in supine position. 2. Proned patients were also successfully extubated at higher rates and required fewer days of ventilation when compared to supine patients. Study Rundown: The acute respiratory distress syndrome (ARDS) is characterized by the 4 following criteria: 1) lung injury of acute onset (i.e., within 1 week of clinical insult), 2) bilateral opacities on chest imaging, 3) lung infiltrates not cardiogenic in nature, and 4) PaO2:FiO2 ratio <300. The causes of ARDS are varied and include pneumonia, sepsis, blood transfusions, trauma, aspiration, pancreatitis, medications, and chemical inhalation. Previously, several measures had been shown to reduce mortality in ARDS. The ARMA trial showed that lower tidal volume ventilation significantly reduced in-hospital mortality, while the ACURASYS trial demonstrated that neuromuscular blockade early in severe ARDS also led to reduced mortality. In the Proning Severe ARDS Patients (PROSEVA) trial, patients with severe ARDS were randomized to either prone-positioning for 16 hours or left in supine position. In summary, proning significantly reduced 28- and 90-day mortality compared to leaving patients in the supine position. Proned patients also experienced significantly higher rates of successful extubation and fewer days requiring ventilation compared to those in the supine group. Notably, all of the centres involved in this study had considerable experience with proning patients, and it is not certain that these results can be replicated in less experienced settings. In-Depth [randomized controlled trial]: This trial was conducted at 27 intensive care units (ICUs) across France and Spain, all of which had at least 5 years of experience with prone positioning. Of the 3,449 patients admitted with ARDS, 474 patients were randomized as part of this trial to either sessions consisting of 16 consecutive hours of prone positioning or remaining in the supine position. The inclusion criteria were ARDS (i.e., as defined using the American-European Consensus Conference criteria), endotracheal intubation and mechanical ventilation for ARDS <36 hours, and severe ARDS (i.e., PF ratio <150 mmHg, FiO2 >0.60, PEEP >5 cm H2O, tidal volume 6 mL/kg). The primary endpoint was 28-day mortality, while the secondary endpoints included 90-day mortality, rate of successful extubation, and the number of ventilator-free days. In the majority of patients, the cause of ARDS was pneumonia. The average number of proning sessions per patient was 4±4, while the mean duration per session was 17±3 hours. All patients in the prone positioning group underwent at least 1 session. The risk of 28-day mortality was significantly lower in patients who underwent proning compared to those who remained in the supine position (aHR 0.42; 95%CI 0.26-0.66). This difference remained significant at 90 days (aHR 0.48; 95%CI 0.32-0.72). Moreover, patients in the prone group experienced significantly higher rates of successful extubation at day 90 (HR 0.45; 95%CI 0.29-0.70) and significantly higher numbers of ventilation-free days at day 28 and 90 (p<0.001 at both time points). With regards to complications, patients in the supine group experienced significantly more cardiac arrests compared to the prone group (p=0.02). ©2015 2 Minute Medicine, Inc. All rights reserved. 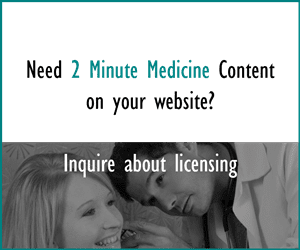 No works may be reproduced without expressed written consent from 2 Minute Medicine, Inc. No article should be construed as medical advice and is not intended as such by the authors, editors, staff or by 2 Minute Medicine, Inc.